Feathers and fluff replaced fists and fury last week. Thousands of people from over 100 cities around the world participated in the 7th annual International Pillow Fight Day, including large “bouts” in New York City, London and Toronto. The New York City event, which took place at Washington Square Park, saw over 300 participants bring their own pillows for the event. 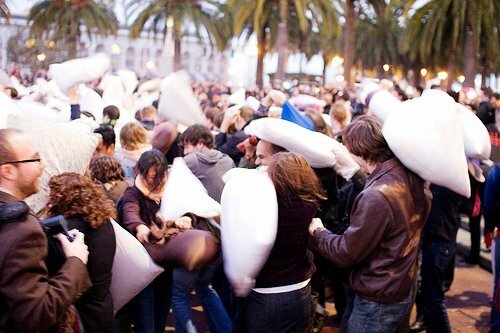 According to Pillowfightday.com, the event was created to encourage people to use public spaces in urban areas. 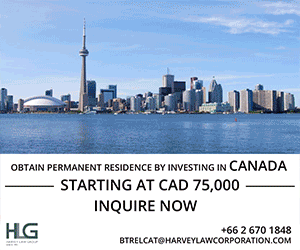 In Toronto, hundreds gathered at City Hall as videos on Instagram displayed a myriad of people bash each other repeatedly with their sleep-time fluff. Trafalgar Square was ground-zero for the London pillow fight as animal-rights group PETA, who were at the event in Britain, encouraged participants not to use feather pillows.